Dr. Prakash Selvaraj is the Chief of Ophthalmology at Mount Sinai Hospital, Chicago. He earned his Bachelors degree in Biology from the University of Chicago, and his Medical degree from The Ohio State University College of Medicine. 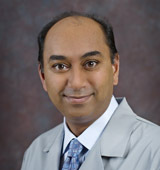 Dr. Selvaraj completed his Ophthalmology residency at Cook County Hospital in Chicago and has been practicing since 1998. Dr. Selvaraj is a comprehensive ophthalmologist whose practice focus is cataract & refractive surgery as well as diabetic eye care. He uses the latest cataract surgery techniques and offers multifocal and toric lens implants. Dr. Selvaraj also performs laser eye procedures for the treatment of diabetic eye disease and glaucoma. Dr. Selvaraj has been a clinical instructor of Ophthalmology with the Cook County Hospital Department of Ophthalmology, and he currently lectures there as a volunteer. 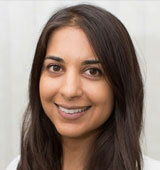 Dr. Noreen Shaikh provides primary eye care, pediatric exams and specialty contact lens fits at Total Eye Care. Born and raised in South Bend, IN, she went out east for undergrad where she earned a bachelors degree in economics from Smith College. She then moved out west where she participated in Teach For America and earned a masters of education from Arizona State University. 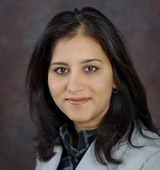 Dr. Shaikh returned to the Midwest to complete her doctorate of optometry at the Illinois College of Optometry. She has extensive training in specialty contact lens training, pediatrics, ocular disease and primary eye care. Dr. Shaikh is passionate about providing quality eye care to her patients. She regularly volunteers her services at Community Health Chicago – a clinic that provides health services to low income individuals. She is also involved in the Chicago Foundation for Women and is a member of the Illinois Optometric Association.